A boat to take you to all the shallow water places that most sailors never see up close (deep water places too). At only 95 lbs it is easily car topped or trailered and can even be launched from many places without a ramp. Designed to be comfortably paddled or rowed and it can be sailed in less than a foot of water, even to windward. Twin shallow draft keels protect the bottom and provide latteral resistance. 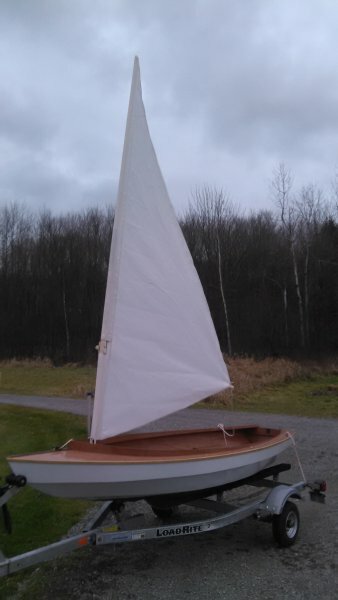 The modest sailing rig weighs only 9 lbs and can be left standing with sail wraped around, or it can be broken down and stowed on board. Construction is simple plywood and epoxy. No special tools or clamps required. 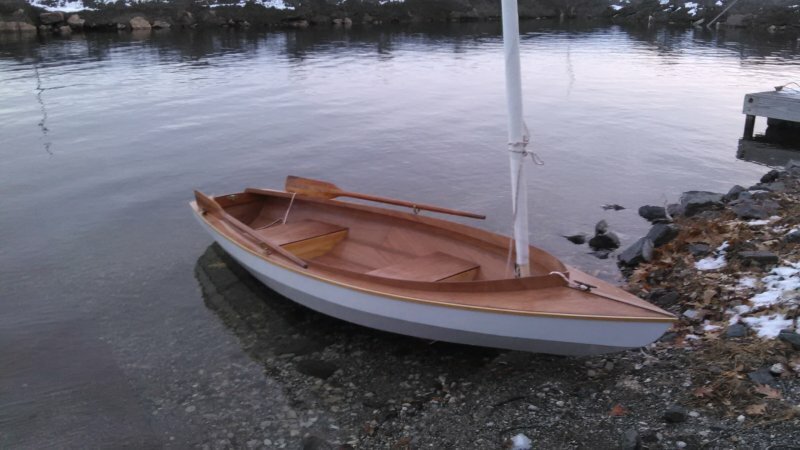 You can build it from plans or our proven kits (over 900 Shell Boats kits completed). You can see this amazing little boat in action — just search it on YouTube.